It is made from 12,769 tiles in 22 colours, with a nominal size of 1244mm wide x 1244mm high (approx 49 x 49 inches). Although this shop is for UK customers only, this mosaic design can be shipped to Europe, USA, Canada, Australia and other countries - order online at Sun (on white) on Kaamar.com (or if you prefer, use the quote button on the right to ask for a quote). Shown here with a "White" background, a version of this design can be created with a background colour of your choice. Click the "Quote Me for this Mosaic" button, indicate your colour choice in the "Additional Instructions" box and we will create one for you. 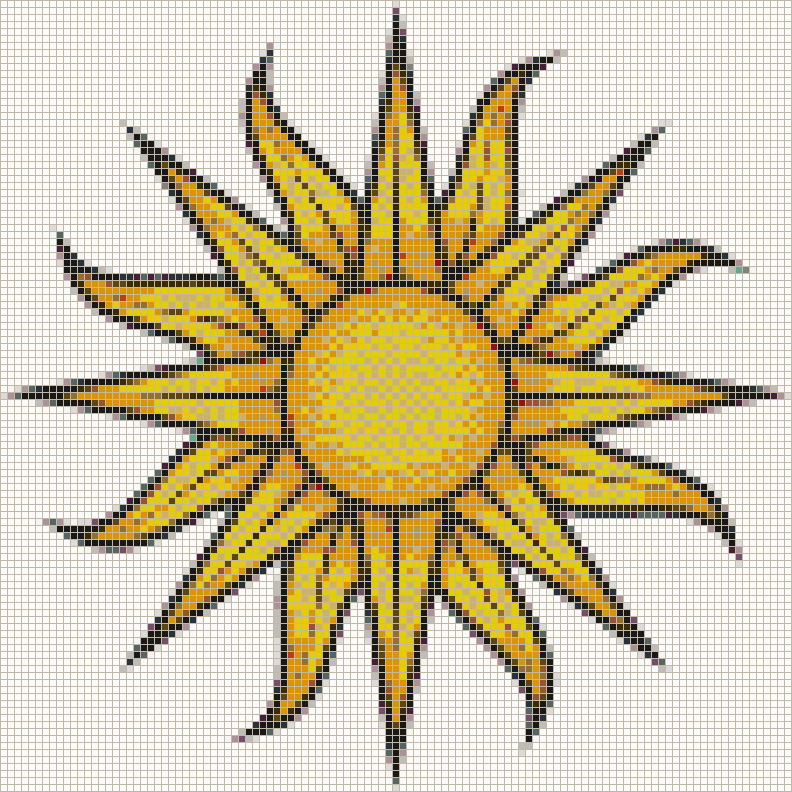 This mosaic design is Copyright © 2012 Kaamar Ltd, based on an original image Sun Vector by VectorPortal.com under CC BY 2.0 licence. 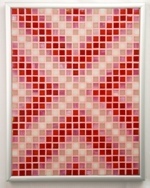 No of Tiles: 12,769 tiles (113 wide x 113 high) in 22 colours. Mosaic Size: 1244mm x 1244mm nominal (approx 49 x 49 inches). Mosaic Area: 1.548 square metres nominal. Overall Size: 1254mm x 1254mm x 36mm approx. This mosaic design is also available with other grout colours and delivery options - see Sun (on white) on Kaamar.com (our international site with advanced mosaic design features). For delivery to other countries, to the rest of the UK including excluded remote areas or if you require additional delivery options such as Saturday/Next Day/Before 10am/Collect please order online at Sun (on white) on Kaamar.com.